Published by Mountainblog on 05/31/2013 . Weather protection in your pocket, now with a low profile hood and full zipper. 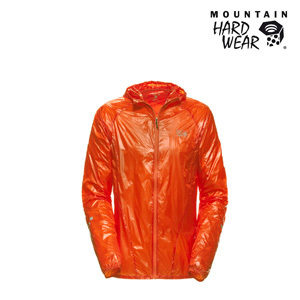 The nylon ripstop fabric is a highly wind- and water-resistant 7 denier by 10 denier. Producing this unique shell fabric is a tediously slow weaving process that only one mill in the world is capable of undertaking. We believe in boldness, in the rush of life that comes when you throw your weight forward and lunge for the goal that’s just out of reach. We believe in bonds between friends, the connections that come from shared hardship, enjoyment and awe. We think that the magnificence of the outdoors is magnified when it’s shared. We believe in joy, in the grin on your face and yell in your throat when you’re living life fully, when self-awareness disappears into seamless thought, action and enjoyment.